This traditional cake, made here with a rich brioche dough and stuffed with a decadent cream cheese filling, is drizzled with a buttermilk glaze and sprinkled with crunchy green, gold, and purple... I first attempted a King Cake in 2012, this is my much improved version in 2017! 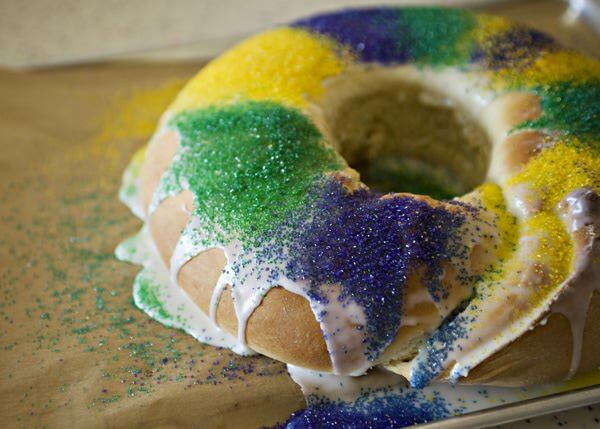 So happy to see that I can have luck with yeast recipes especially for special holiday treats like making a Homemade King Cake Recipe for Mardi Gras or my special Italian Easter Bread.